We are starting the year off with artist inspired projects. 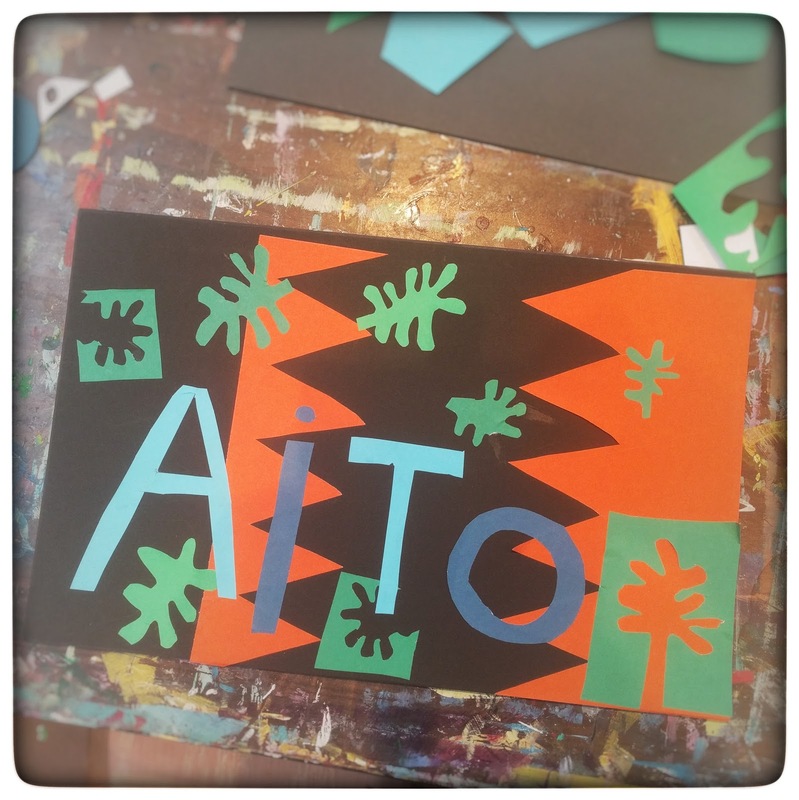 We read Drawing with Scissors and learned about Henri Matisse. 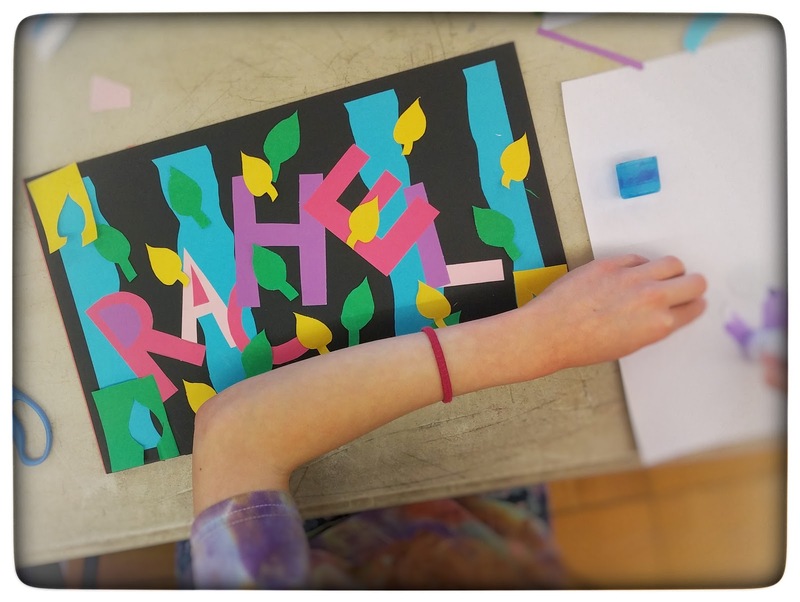 Students created paper collages with their names. Step one: breaking the background out into large shapes. Step two: Medium shapes in the form of the students name. 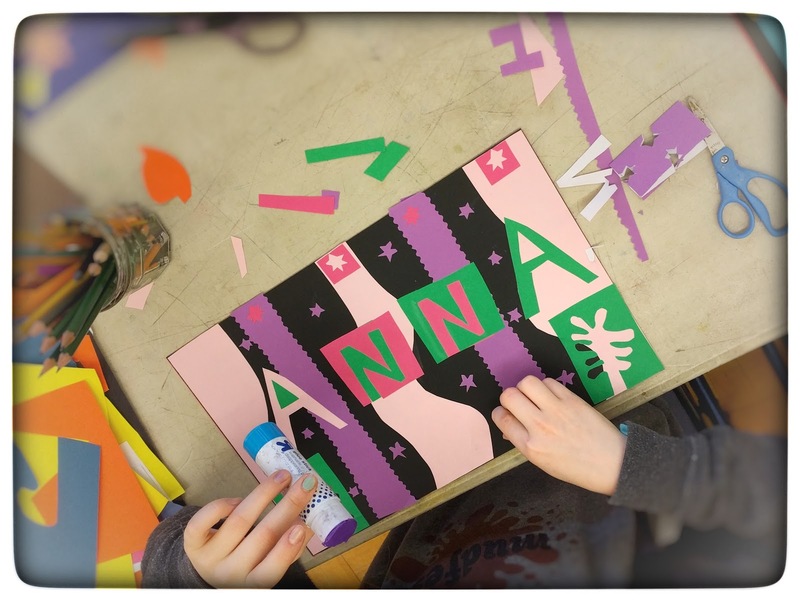 After moving around their shapes and trying out a few different compositions, students glued down their backgrounds and names. 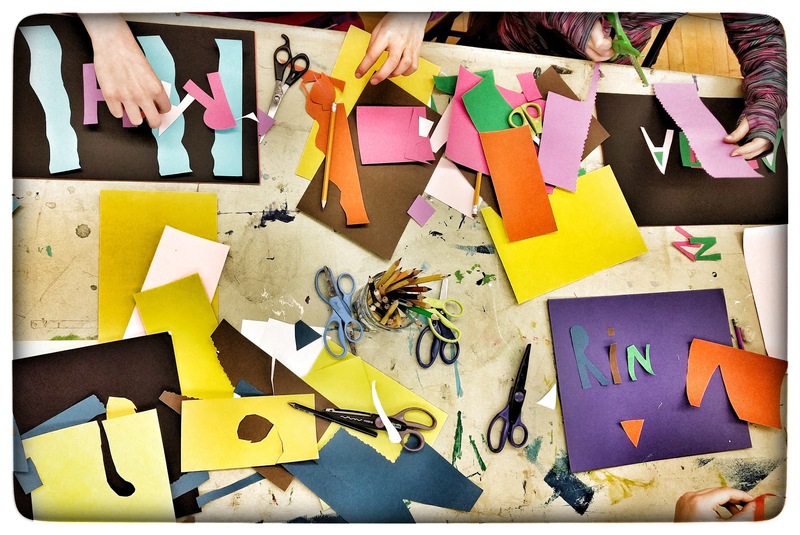 Step three: Deciding on a "Matisse" inspired small shape and cutting out at least 8 of them to create pattern and repetition. 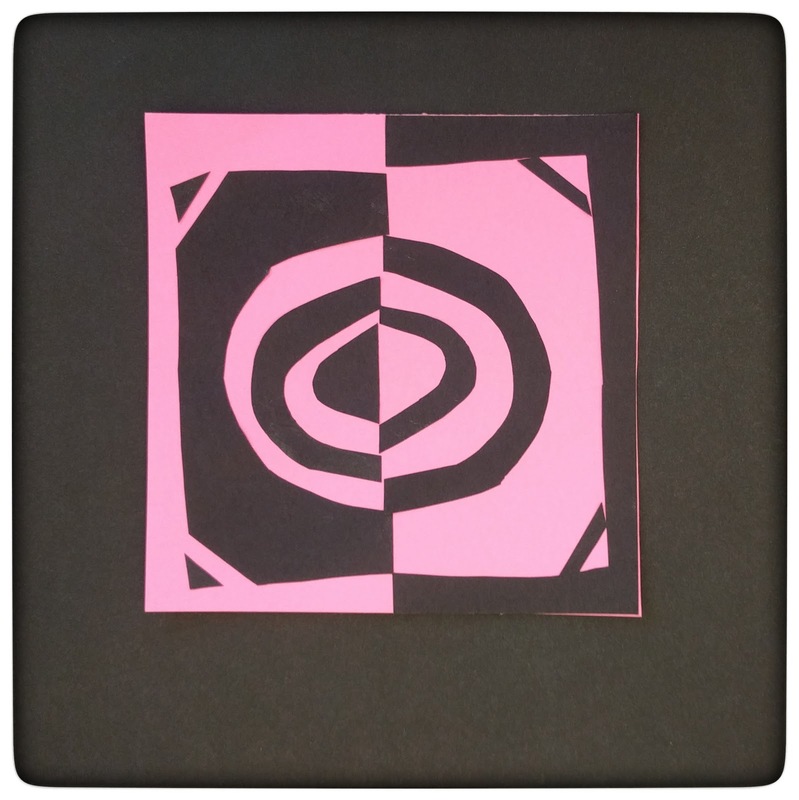 Students also needed to include both positive and negative cutouts. We had an extra 1/2 hour on the second day. 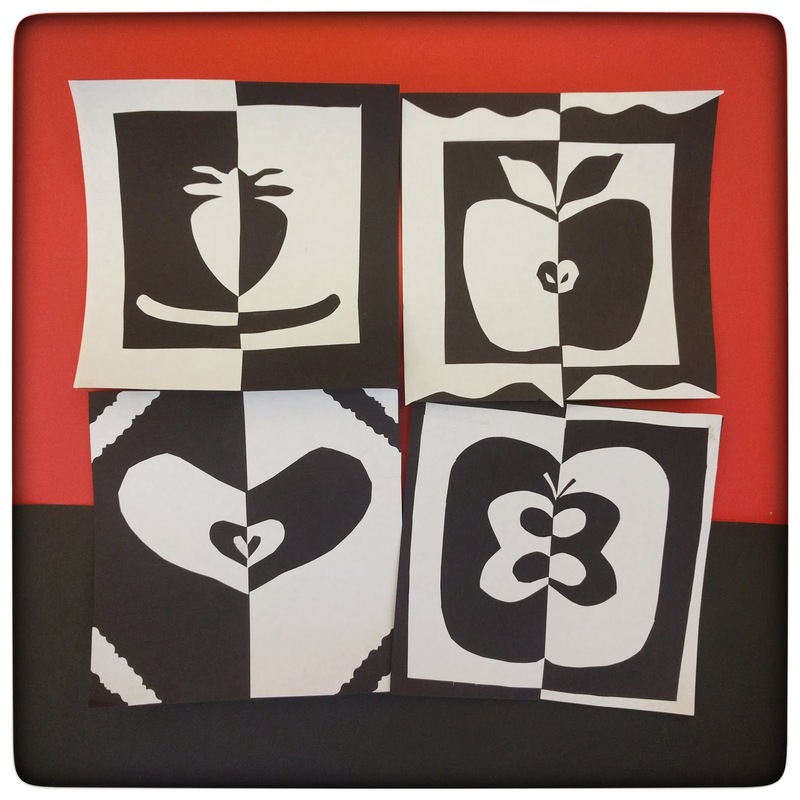 To continue the lesson students worked on positive and negative cut outs. 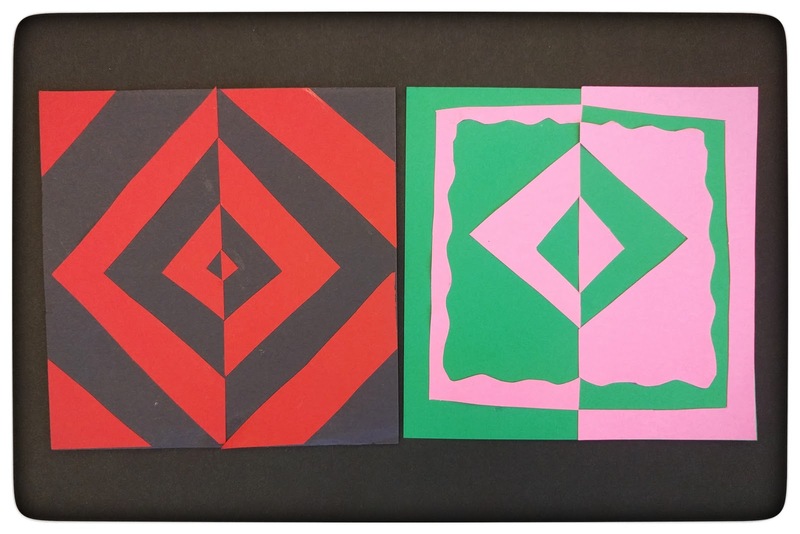 We started with simple geometric patterns in colors of their choice. ...and finished with more complex designs in black and white.